The most anticipated sequel is here! 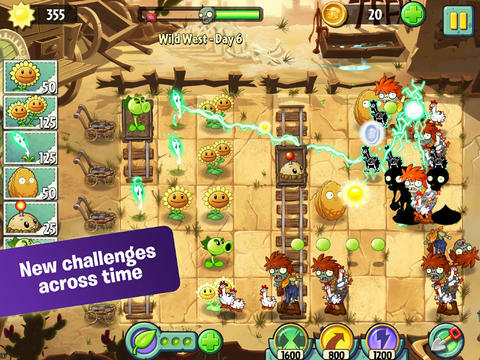 Plants vs Zombies 2 is finally launched for everyone on the iOS platform after being exclusive for Canada Appstore for months. Meet B**k Choy, Bloomerang and Lighting Reed: Just a few of the powerful new plants that will defend your lawn through time. 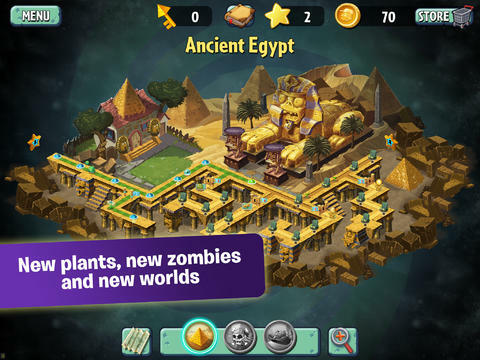 Go toe-to-missing-toe with dozens of new zombies including Ra Zombie in Ancient Egypt, Swashbuckler Zombie on the Pirate Seas, or Chicken Wrangler Zombie in the Wild West. In every new world, clever new zombies and brain-teasing challenges will test your zombie-zapping skills. Battle the fun-dead on land, on sea and… on the rails? Unlock ultra-challenging (and ultra-fun) endless levels — Pyramid of Doom, Pirate’s Booty and the Big Bad Butte. 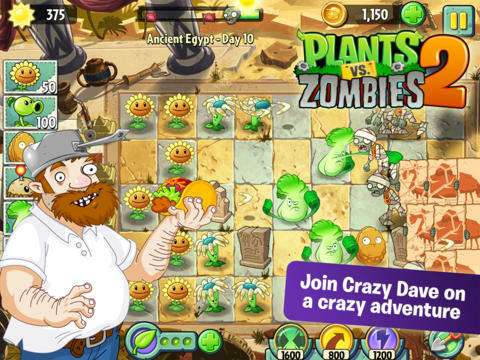 Gather keys to unlock brain teasers and new plants. Collect coins to purchase potent power-ups. Earn stars to take you to new worlds. Survive long enough and you’ll be rewarded with piles of prizes and achievements. And that’s just the beginning! The future holds many mysteries. Also, zombies. Lots and lots of zombies. 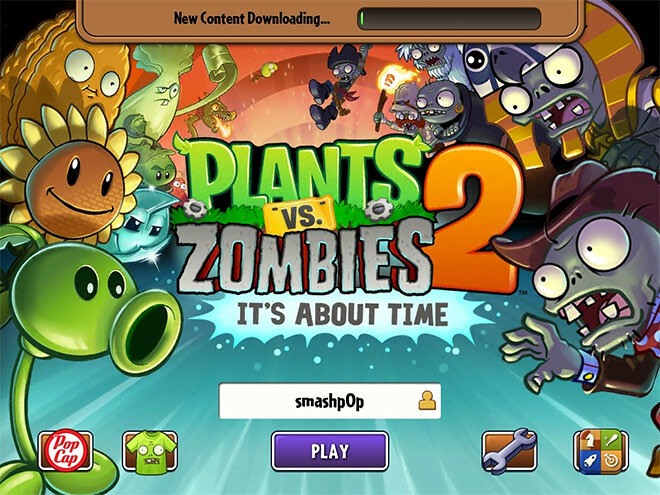 One Response to "‘Plants vs Zombies 2’ Now Available On iPhone & iPad! [video]"